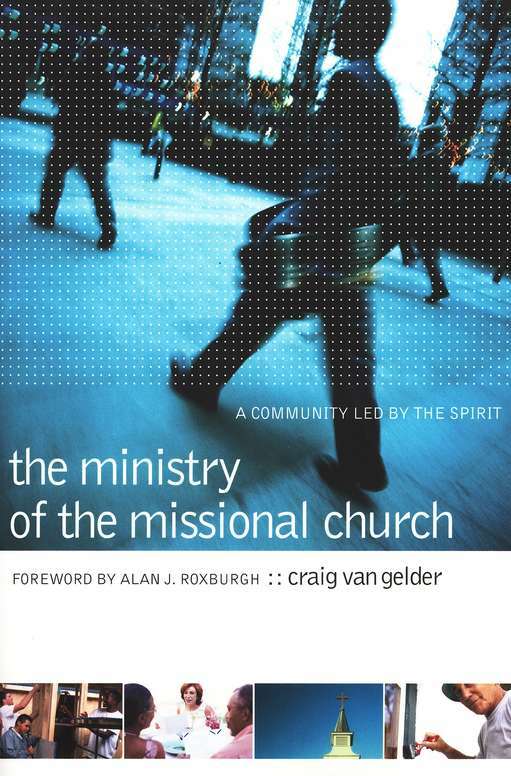 Editor's Note: The following is a report on the practical applications of Craig Van Gelder's book, The Ministry of the Missional Church: A Community Led by the Spirit, (Baker Books, 2007). You can work your hardest to try to make your church successful, but your best efforts won’t lead anywhere if you’re not leading the church where the Holy Spirit wants it to go. The Spirit has a particular mission for your church, and it’s only when you discover and follow it that your church can grow the way God intends. Focus on God’s plans rather than your own. Recognize that your church should be a vital part of God’s ongoing work in the world. Don’t waste time or energy pursuing activities that, while good, aren’t clearly what God is leading your church to do. Always start with an awareness of God’s redemptive work in the world; then consider how He might want your church to be a part of that. Ask two key questions: “What is God doing?” and “What does God want to do?”. Never let your church’s functions become ends in themselves. Remember that congregations are ultimately created by the Spirit, and their purpose is to engage the world in bringing God’s redemptive work in Christ to bear on every dimension of life. Understand the Spirit’s ministry. Get to know the different ways the Holy Spirit works in the Bible, such as: demonstrating God’s creative power, affirming God’s intention for His creation that all life might flourish, confronting principalities and powers and restraining evil, reconnecting people and restoring community by helping them clearly understand their identity as God’s people, empowering people with gifts and abilities, empowering leadership to guide faith communities into redemptive action, extending mercy and establishing justice, and engaging the world. Embrace change. Realize that the contexts in which your church performs its ministry is constantly changing. Rather than resisting change, accept and expect it. Regularly seek the Spirit’s guidance to adapt well to the changes your church encounters. Know that a healthy church will always be reforming. Anticipate new insights into the Gospel, and expect that the people you reach with the Gospel will change your church after they join, making the congregation constantly dynamic. Expect surprises, interruptions, and disruptions as the Spirit works in your midst, but remember that the ultimate result will always be good – lives transformed for the better. Learn how to read your church’s current context well. Obtain information about the community in which your church ministers, such as: population trends, demographic profiles, transportation patterns, where members live, other organizations that serve the community, and business development and employment. As you consider this information, ask what God is currently doing and what He may want to do in these situations. Give up any one-size-fits all approach to ministry. Know that there’s no one type of program, confession, or organization that will work well for all churches. Instead of trying to do what’s worked for other churches, ask what approach God wants your individual church to take, and don’t be afraid of being different. Seek the discernment you need to make wise decisions. When facing decisions, consider: The Bible and other texts such as your denomination’s devotional writing, the cultural context of each situation, the community within your church, and the practices your congregation shares. Encourage open, fair, engaging, and deliberative discussions among the people in your church. Respect the different perspectives and gifts of each person, and unmask sin such as hidden agendas and power plays. Pray for the Spirit to help you all come to a common understanding of God’s will in each situation, so you can make strategic choices to implement that will. Keep people clearly and regularly informed of what’s happening, support the implementation process in prayer, and ask for feedback so you’ll know when adjustments are necessary. Afterward, assess what did and didn’t work and learn from the experience. Organize your church according to how the Spirit leads. Design your church building and the way you use your space to reflect the ways the Spirit is guiding you to minister. Look back at your religious heritage and your particular congregation’s history to understand where you’ve been as you pray about where you are now and where the Spirit may want you to go in the future. Clarify your church’s core values and ask how congruent your ministry practices are with the values you hold about ministry. Shape your congregation’s culture so it more faithfully and fully represents God’s purposes in the world. Regularly take inventory of the people and resources flowing into your church and the ministry that’s flowing out. Ask how, in light of this information, your church can better impact it’s community. When deciding on how to design your core missional practices (worship, education and discipleship, care and fellowship, service, and witness), go with what the Spirit is leading you to do rather than just with what style is most popular. Ask the Spirit to keep your congregation’s vision fresh and develop its leadership and infrastructure (such as communication, facilities, and finances). Help all your church’s members understand their vocation in the world and deploy their gifts to participate in God’s mission in the world. Pursue growth and development. Invite the Holy Spirit to use a variety of things to develop and grow your congregation: conflict, adverse circumstances, ministry to people on the margins of society, intentional strategy, divine intervention, and new insights into the Gospel and your culture. Account for the reality of sin as you assess your church’s growth, and expect your congregation to sometimes be misunderstood or even mistreated as it follows the Spirit’s leading. Be willing to forgive, be humble, and work together with grace. Expect resistance to changes; commit plenty of time and invest plenty of energy into implementing them. Be graceful as you make changes – ranging from minor improvements to major re-creations – trusting the Spirit to guide you every step of the way. Adapted from The Ministry of the Missional Church: A Community Led by the Spirit, copyright 2007 by Craig Van Gelder. Published by Baker Books, a division of Baker Publishing Co., Grand Rapids, Mich., www.bakerbooks.com. Craig Van Gelder serves as professor of congregational mission at Luther Seminary in St. Paul, Minnesota. He is the author of The Essence of the Church and the editor of Confident Witness – Changing World.